We show that high-temperature superconductors can be used to build a terahertz superlens. These materials exhibit hyperbolic behavior at frequencies between their two plasma frequencies corresponding to electric fields parallel and perpendicular to their c-axis. 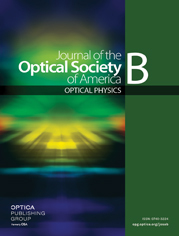 Due to the large component of permittivity perpendicular to the c-axis, the resolution of the proposed lens is much below the diffraction limit (λ/1000). In this paper we demonstrate this lensing phenomenon with a simple slab of a high-temperature superconductor.